USDA Rural Development loans help low and moderate-income families buy a home with no down payment. Yep, USDA loans are another type of zero down loan program. A borrower’s household income must not exceed certain limits set by USDA program guidelines. Furthermore, the property must be USDA-eligible, which is determined primarily by its location. Most eligible properties are located in rural areas. Sometimes it's possible to find an eligible home within short commuting distances of cities. 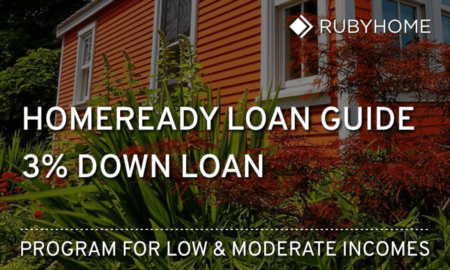 FHA purchase loans are low down payment types of loans. They only require 3.5% down which makes them very popular with first time home buyers. FHA guidelines also permit down payment gift funds from family members, employers, housing grants, churches or other charitable organizations. FHA loans require a one-time, upfront mortgage insurance premium (UFMIP) when the loan closes. After that, a smaller mortgage insurance premium (MIP) is added to the monthly mortgage payment. These two types of insurance comprise a tradeoff necessary to make the low down payment possible. There ain't no free lunch. States, cities and regional housing authorities also offer first time home buyer programs. Many states insure loans in much the same way the federal programs do. Some states also offer financial assistance programs to help folks clear the initial hurdle of putting together enough money for a down payment. Meets guidelines set by Fannie Mae and Freddie Mac. Insured by Private Mortgage Insurance (PMI) if the loan is less than 80% loan to value (LTV). Does not require upfront fees. Not insured nor guaranteed by FHA, VA or USDA. By setting requirements such as down payment amounts, acceptable credit scores and loan limits, GSEs are better able control the quality of loans they will buy. One of the biggest influences GSEs have on the overall mortgage market is their conforming loan limits. This is maximum loan amount for a mortgage that can still be classified as a conforming loan. Loan limits are updated annually to reflect average current home prices in the United States. This is low down (3%) loan for first time home buyers. There’s no income limit. 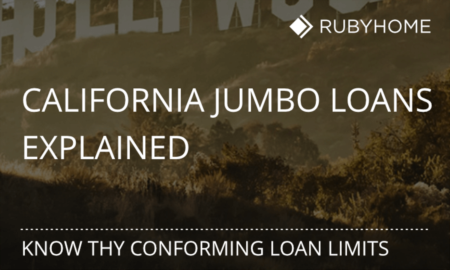 As you might expect, the loan amount must not exceed conforming loan limits. However, Conventional 97s do allow loans at the higher end of the conforming loan limit range in high cost areas. The mortgage must be a fixed rate; no adjustable rate mortgages allowed. With the exception of manufactured homes, nearly all one-unit property types are allowed. Because these loans are bigger, qualifying for them is tougher than government-insured or conventional mortgage products. 20% down payments are expected. In some cases, a 10% down payment may be possible but only for borrowers with outstanding credit. Self-employed borrowers will need to prove their income by providing W2 tax forms from the last two years. Its’ quite common for the self-employed to provide business P&L statements for evaluation by an underwriter. Veterans can still use their VA Benefit for home purchases that exceed VA loan limits. However, two additional requirements must be met. First, the veteran must come up with a down payment of 25% of the loan amount over the conforming loan limit. Say a home price is $517,000 and the county loan limit is $417,000, the veteran would pay 25% of the $100,000 difference, which is $25,000. Second, they must pay the VA funding fee in cash for loans greater than the conforming loan limit and less than $1 million. Home Equity Conversion mortgage (HECM) is the long-winded, bureaucratic name for FHA’s reverse mortgage. Borrowers must be seniors, at least 62 years-old. For seniors who’ve build up home equity over the years, reverse mortgages can turn that equity into cash. Essentially, the lender is paying home owners each month, slowly drawing down on the equity. There’s also an option for a lump sum payout. Reverse mortgages are a type of home loan that provides a way for seniors to remain in their home while tapping into the equity, typically their largest financial resource. Furthermore, Seniors continue to own the home. When they move out or pass away, their heirs can either pay off the lender or sell the home (the proceeds of which pay off the loan). Borrowers must meet with a HUD-approved counselor prior to taking out a reverse mortgage. HECMs are by far the most commonly held reverse mortgages. Some financial institutions create their own line of reverse mortgage products. Private reverse mortgages can come in handy when the desired loan amount exceeds FHA’s loan limits. Wow, here’s a term for you: Interest Rate Reduction Refinancing Loan (IRRRL). Yep, that’s the long title for VA's Streamline refinance. Despite a very long name, IRRRLs represent a very short and efficient means of refinancing an existing VA loan into a new VA loan (VA-to-VA) with a lower interest rate. There’s less required documentation to get this loan funded. For example, no new appraisal is required. And all that extra paperwork that went into the original loan file -- like pulling a Certificate of Eligibility (COE) -- is also not required. That's why they call it "Streamline". For veterans who currently have a non-VA mortgage, they may refinance into a VA loan. VA loans can be taken out for the full appraised value (100% LTV) of the home. If there’s equity in the home, it can be cashed out (not an option with IRRRL above). Borrowers will go through a full underwriting process so things like debt-to-income ratios, credit scores and a property appraisal are required. There will also be VA Funding Fee. Borrowers with existing FHA-insured loans may change their rate and term with an FHA Streamline refinance. As you may have guessed, the word "streamline" refers to faster underwriting times due to reduced documentation. For example, in most cases no appraisal or credit report is required. Certain fees and closing cost are still a part of the deal. So it’s not a freebie. Furthermore, the purpose of a streamline loan is to reduce monthly mortgage payments, not to enrich the borrowers. That’s why there’s a maximum $500 cash out. The main benefit – and reason for undertaking a FHA Streamline – is to reduce monthly payment in order to save money over the life of the loan. HARP exists to help borrowers refinance homes that have little or no equity. Even underwater homes may be eligible. It’s a program that came about in response to the housing crash that started around 2008. Borrowers with a track record of making mortgage payments on-time and in-full may be eligible for some relief. The HARP program can help change the term and/or lower the loan's interest rate without additional mortgage insurance. There’s less paperwork: no appraisal or underwriting is required. HARP is only available to refinance mortgages owned by Fannie Mae and Freddie Mac that closed prior to May 31, 2009. Borrowers with existing USDA loans can refinance them into a new USDA loan (USDA-to-USDA) with a lower interest rate or new term. The existing mortgage must be either a 502 Direct or 502 Guaranteed USDA loan. Just like VA and FHA Streamlines, documentation is significantly reduced. No credit report, appraisal or property inspection is required. Borrowers must be current on payments with no blemishes within the last 12 months. Their is no cash-out option. HAMP is a loan modification program that can lower the interest rate, extend the term or lower the principal balance of an existing mortgage. Its purpose is to help homeowners impacted by financial hardship such as job loss, serious illness or disability. The goal is to reduce a borrower’s monthly mortgage payment to 31% of their pre-tax (gross) monthly income. HAMP can only modify existing mortgages owned by Fannie Mae and Freddie Mac that closed prior to January 1, 2009. Renovation loans are taken out by borrowers under two basic situations. The first scenario involves current home owners (refinance) and the second scenario covers home buyers (purchase). Renovation loans fund a purchase or refinance and simultaneously provide cash to carry out the rehab work. In both scenarios, renovation loans are all-in-one transactions. They do not require a borrower to combine a first lien and a second mortgage or home equity line of credit (HELOC). Loan amounts are based on the estimated property value after renovation work is completed. Freddie Mac’s renovation product is very similar to Fannie's HomeStyle program. One unique feature: the program allows funding for non owner-occupied properties (i.e., investments and second homes). For this reason, investors prefer it. Fixed-Rate Mortgage (FRM) – interest rate does not change; predictable monthly payments. Adjustable-Rate Mortgage (ARM) – interest rate changes depending upon bond market prices; monthly payments can go up or down. Interest Only Loan - monthly mortgage payments apply to interest portion of the loan but not the principal. 10-year Mortgage - lowest interest rate, highest monthly mortgage payment. 15-year Mortgage - lower interest rate, higher monthly mortgage payment. 30-year Mortgage - higher interest rate, lower monthly mortgage payment. Balloon Loan - mortgage payments are amortized over a long timeframe, typically 30 years. The loan is called (due) all-at-once in 5 or 7 years. Balloon loans are a lot less common than they used to be. Mortgage Grants - typically offered by states, cities and regional housing authorities as an incentive for urban renewal or to promote home ownership in underserved areas. Mortgage Tax Credits - typically offered by states, cities and regional housing authorities. There you have it! That's the list of 29 types of home loans and a few down payments assistance programs to boot!